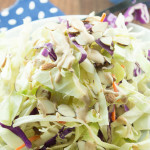 Crunchy cabbage gets a flavor boost with a quick homemade dressing. 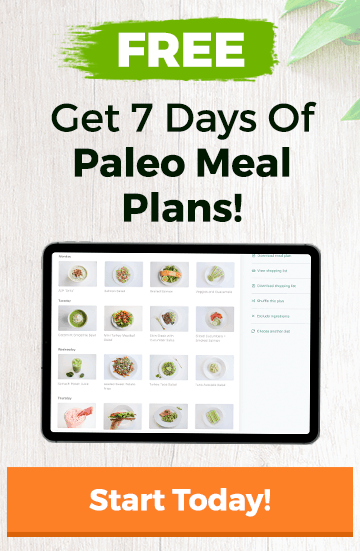 For a full meal, you can add your favorite protein; some shredded chicken or shrimp would work nicely here. 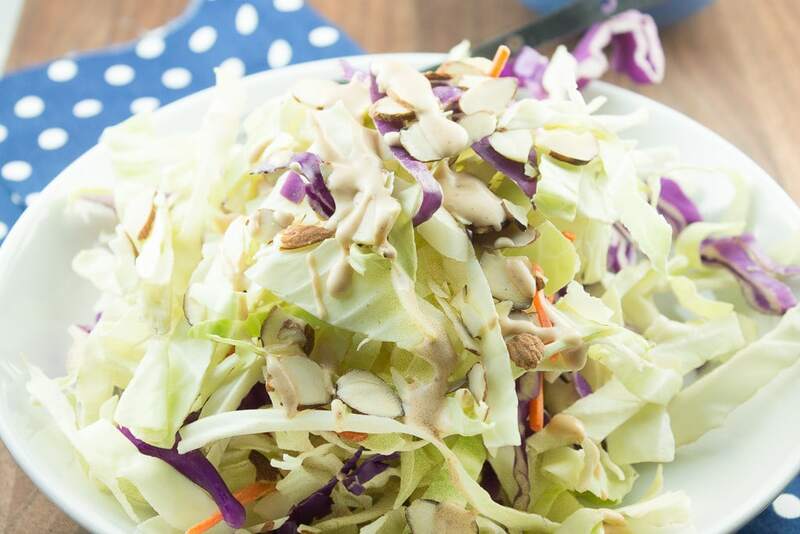 Toss the cabbage, carrots, and almonds in a large bowl. Make the dressing by whisking the remaining ingredients until well combined. For a creamier consistency, blend in a blender until smooth.